The first step in the Decor Coaching process is for you to fill out a questionnaire so I can get a feel for the design direction in your space. You don’t have to worry about taking a ton of time on each of the questions. Just write what comes to your mind first. You may even find that through the process, some of your answers may change! What room will you be redesigning? What do you currently do in this space? Do you want to change the function of the space, or add functionality of the space? If so, explain. Do you want to be casual or formal in this space? Do you struggle with the layout/flow of the space? Will you be entertaining in this space? If so, what type of entertaining will you be doing? Will children be hanging out in the space? If so, what age and gender? If keeping existing furniture, what are you keeping? What items do you know you will be buying new for the space? Do you need a workspace/desk in this space? If you know your style, what is it? What colors do you gravitate to when decorating? Do you like colorful or neutral colors? Will you be re-painting the walls? Are you open to wallpaper, even if just in a small part of the room? Note that there are many easy to remove wallpapers out there! Do you like wainscoting or shiplap (wide horizontal boards) on the walls? What stores do you like to shop in for home decor, both online and brick and mortar? Do you prefer painted or stained wood pieces? Do you prefer leather or fabric upholstered furniture? Are you open to thrifted or vintage furniture and decor items? Do you like to display items on open shelving? Will there be a TV in the space? Will you want it hidden? Do you prefer hard wood or wall to wall carpet? What is in the space now? If you want hardwood, do you gravitate to dark or light colored wood? Will you want an area rug? If you said yes to area rug, do you think you'd want a neutral one or something that stands out? Do you like the look of vintage Persian rugs? If the room will have new tile, do you prefer simple or decorative tiles? 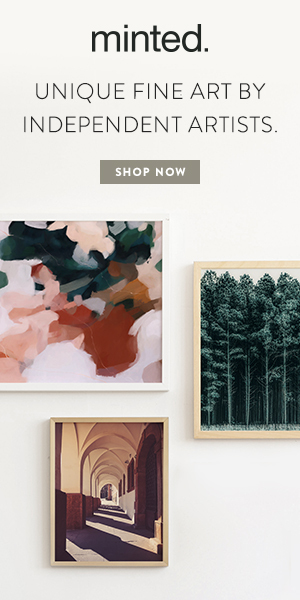 Do you like gallery walls as a way to display artwork and photos? Do you have any favorite artists? Do you have existing wall art you are keeping in the room? Do you prefer simple or dressed up windows? Do you think you will want drapes on the windows? Do you need privacy in the evenings from neighbors/passers by? Do you like roman shades or wood blinds better? Do you like the view out your windows? Are window treatments a budget item or will you be making an investment in them? Is there a lot of natural light in your space? Do you like the look of wall sconces? Do you want a ceiling fan in the space? Do you want house plants in the space? Do you have momentos/special items you want to be sure are incorporated in the space? What type of metal finish colors do you prefer? Black, gold, silver? Aged, matte or shiny? Yay! Be sure to check your email for the FREE Guide to adding color to your space. This is also a design challenge. If you take the challenge be sure to share your results! We heard you like Instagram. Follow us at @greenparkstudios.